All vertebrates – from frogs and birds to human beings – require the same thyroid hormone to thrive. Every stage of brain development is modulated by thyroid hormone and, over millions of years, the structure of this critical hormone has remained unchanged. But, increasingly, the trappings of modern life are preventing it from playing its critical role in human brain development. Thyroid hormone signalling is very vulnerable to interference by chemicals that can scramble the endocrine communication routes between cells. 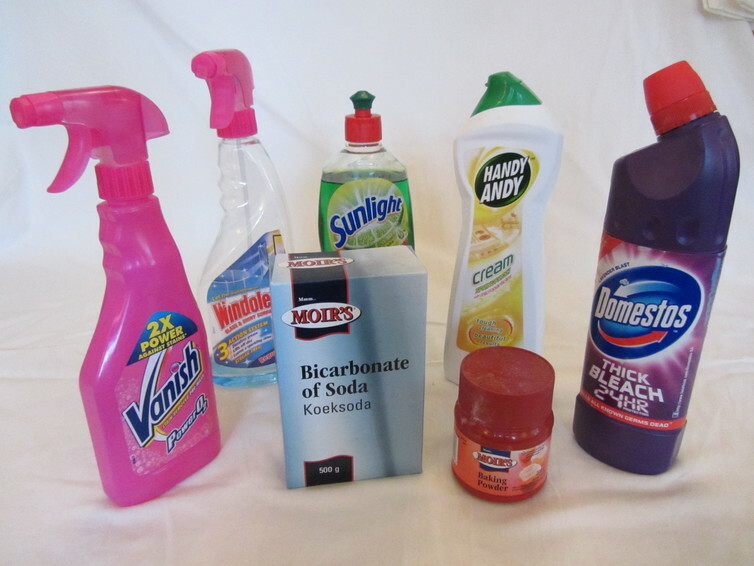 These endocrine disruptors, as they are called, include ubiquitous chemicals such as pesticides, plastifiers, flame retardants and surfactants, all of which are found in our food, non-stick pans, furniture, cleaning products, clothes and cosmetics. They are even found in the air we breath and the water we drink. This is bad news for our brains, and children’s brains in particular. Thyroid hormone serves multiple functions in orchestrating the production and differentiation of the 100 billion cells that make up the human brain. Without the right amount of thyroid hormone at the right time, human babies will suffer severe intellectual disabilities, developing an IQ of only about 35. In a recent experiment, conducted on tadpoles, we tested the hypothesis that common chemicals in the environment, singly and as a mixture, can interfere with brain development in humans. Previous work had showed that tadpoles with endocrine disorders couldn’t metamorphose, that is, they never become frogs. Our paper, published on March 7 in Scientific Reports, shows that young tadpoles exposed to a mixture of common chemicals at concentrations routinely found in human amniotic fluid not only modified thyroid hormone signalling but also reduced the total number and size of neurons and inhibited tadpole movement. Even with limited exposure of three days, we observed significant effects on the tadpoles’ brain development. 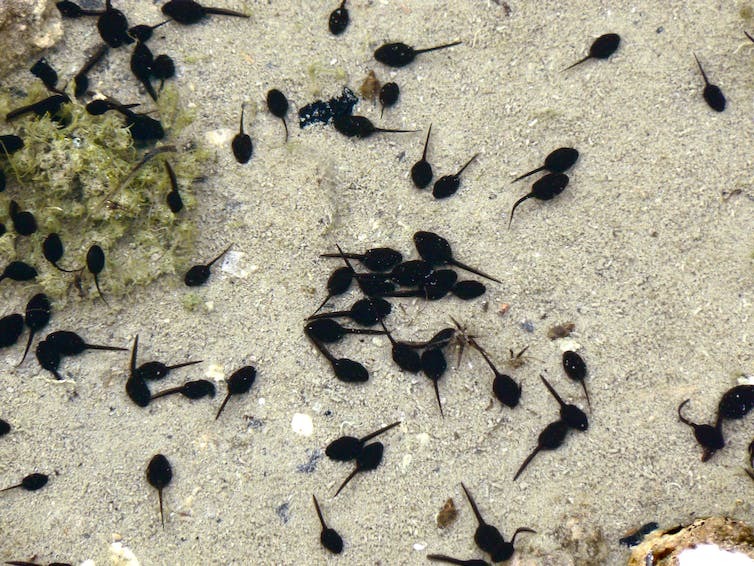 Tadpoles have long been used to study human developmental processes, including in the first cloning experiments back in the late 1950s because they offer important insights into how brains develop. These findings raise a number of concerns. Global chemical production has increased 300 times over the last 50 years, according to the United Nations Environment Programme. Given that all of the common molecules we used in our experiment are found at similar concentrations in human amniotic fluid, one must be concerned about the potential effects of this mixture on foetal brain development. In recent years, we have learned that small variations in a woman’s thyroid hormone levels during early pregnancy significantly impact her child’s IQ and brain structure, including the ratio of grey matter (neurons) to white matter (glia cells). Similarly, it has been repeatedly shown in longitudinal epidemiological studies that children born to mothers with high levels of certain thyroid disrupting chemicals, such as PCBs or flame-retardants, have lower IQs. Children born to mothers exposed to pesticides or other chemicals can also display more neurodevelopmental problems. Might intra-uterine exposure to thyroid-disrupting chemicals, then, be linked to the apparent rise in neurodevelopmental diseases, such as autism and attention deficit hyperactivity disorder (ADHD)? Different data sets from Asia, Europe and North America have shown increases in autism spectrum disorders and ADHD. Today in the United States, one in 42 boys is diagnosed as on the autism spectrum. The incidence of autism in the US increased significantly between the data sets published in 2000 and 2014. The human genome did not change during this time, nor can changed diagnosis criteria or increased awareness entirely account for the increase. Research emphasises the genetic bases of autism spectrum disorders, but it is highly plausible that environmental factors could exacerbate genetic susceptibilities. In studies conducted on gestating rats, autism-like behaviour in offspring has been linked to disruptions in thyroid-hormone signalling, specifically hypothyroidism. Endocrine disruption may also tell us something about the IQ decreases observed in certain populations. Comparing IQ in different populations at different time points is, of course, not scientifically rigorous. But measuring IQ at a given time point in a given population exposed to different levels of chemicals can be meaningful. Several data sets from around the world have shown IQ scores dropping over time. Military recruitment boards in Finland and Denmark demonstrate this decrease, and similar losses are seen in other populations, including adults in France and children in the United Kingdom. Other data shows that reaction time in young people is slowing. This is surprising, perhaps, given that many young people today play screen games that require rapid responses. But the speed of neuronal transmission is dependent on myelination, the formation of the lipid sheath around the neurons, which requires thyroid hormone. Thus, reaction time is vulnerable to interruption by the endocrine disruptors present in our everyday lives. The mechanisms that may link chemical thyroid-hormone disruption with increased brain disorders and decreasing IQ are further explored in my 2017 book, Toxic Cocktail: How chemical pollution is poisoning our brains. Today, chemical contamination is such that we are all exposed to hundreds of chemicals, few of which have been fully tested for their toxic effects. Little is known about their potential effects on our hormonal systems, and even less about how they act together as mixtures to have a “cocktail effect”. Our findings showing adverse effects on tadpoles’ thyroid-hormone signalling, including reduced neuronal number and mobility, indicate the urgent need to revisit the way chemicals are tested before they hit the market. As a cautionary tale, recall that paracetamol, the main ingredient in many painkillers, which was previously considered safe during pregnancy, is now linked to behavioural problems in children. Doctors now suggest that pregnant women avoid all medications, acknowledging the acute susceptibility of fetuses to drugs and chemicals. The concept is scientifically grounded in the developmental origin of adult disease: prenatal factors, we now know, can cause disease later in life. In modern life, every pregnant woman is exposed to hundreds of chemicals. Not only are these chemicals found in her bloodstream but also in the amniotic fluid that surrounds her developing child. Our tadpole experiments show that this exposure compromises the hormonal regulation that underlies brain development. Processes honed through millions of years of evolution are now very much endangered. Barbara Demeneix is Professeur en endocrinologie, Muséum national d’histoire naturelle (MNHN) – Sorbonne Universités. This article was originally published on The Conversation. Read the original article.